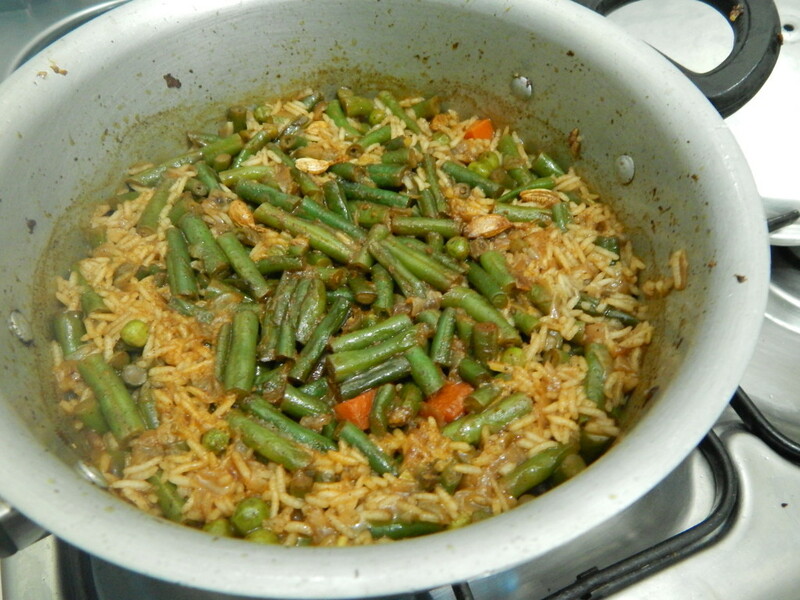 Vegetable Pilau - Leo Tunapika? 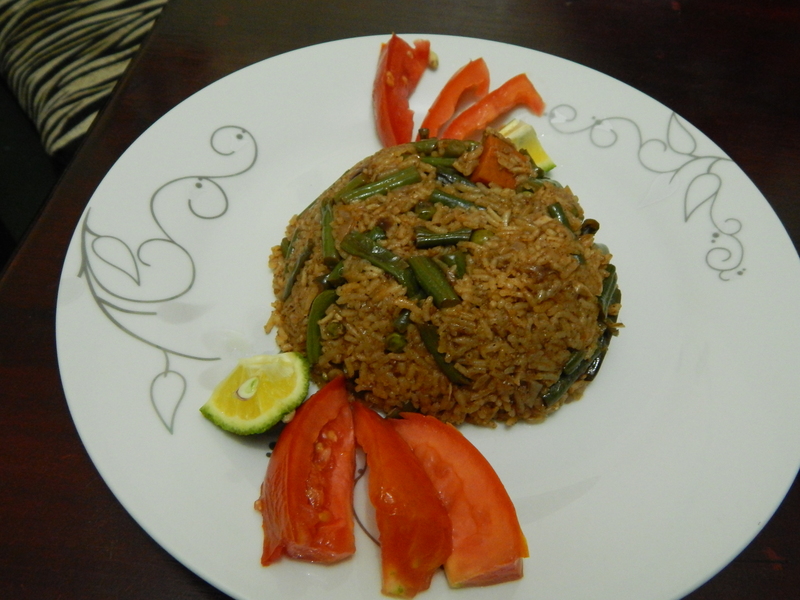 Since my successful try at making pilau I have been more confident thus made different variations of it. I’ve tried with chicken and toady I share my vegetable pilau recipe. 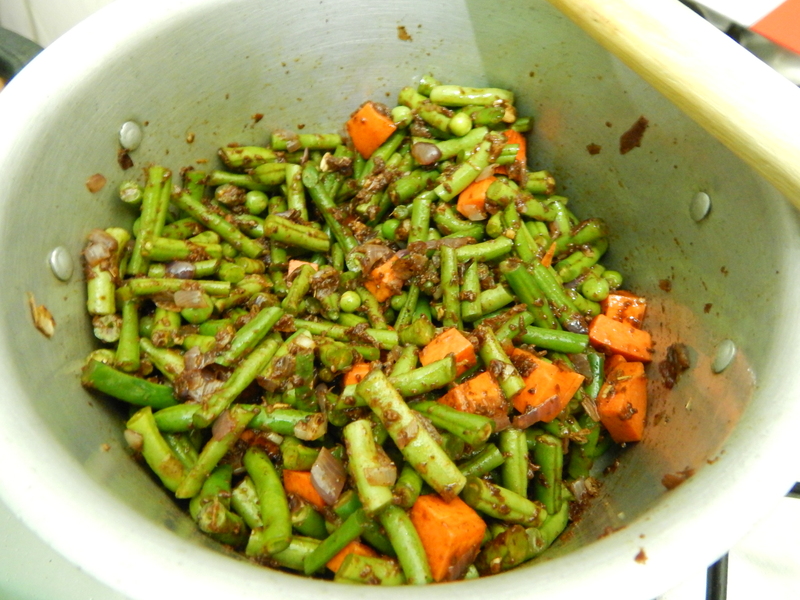 The recipe is more or less the same as the one I had posted earlier, the only major variation being I have used veggies instead of beef. 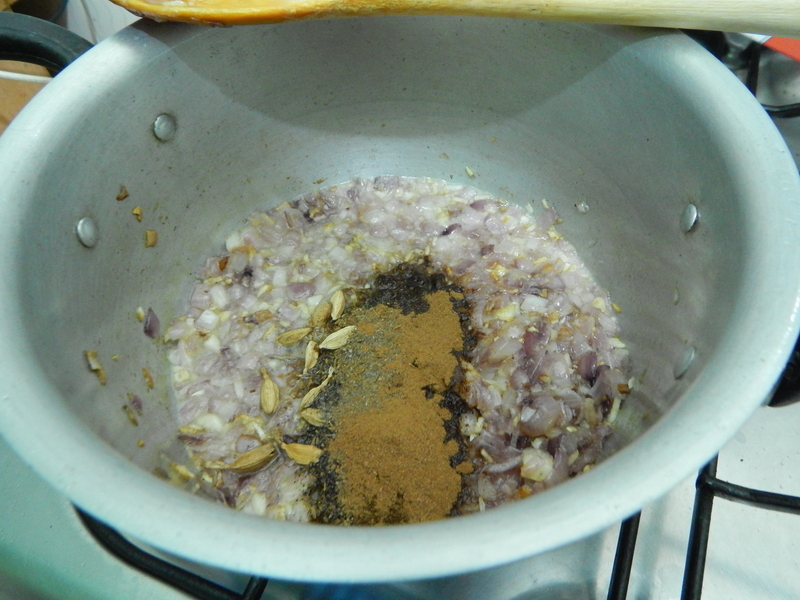 In your sufuria, heat the oil and add the onions and garlic. 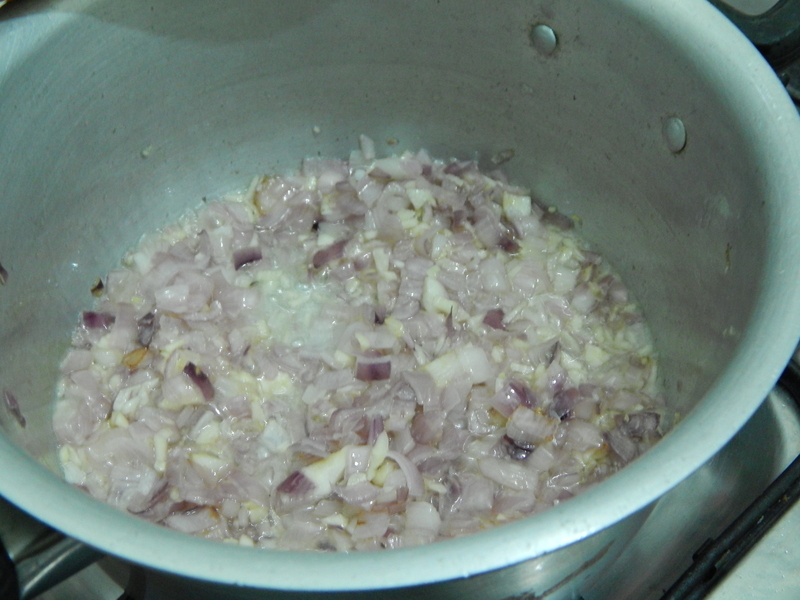 Let the onions cook down until they are lightly browned. DO NOT burn the onions. 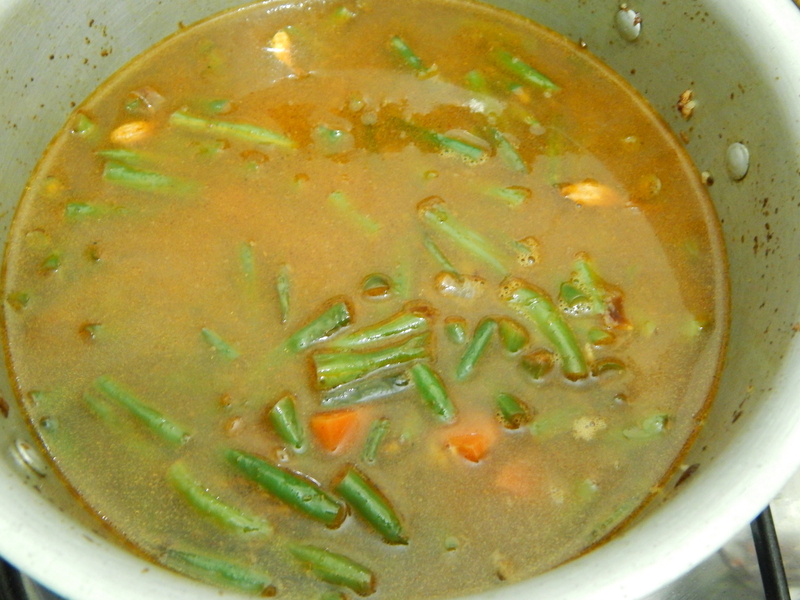 Next, add in the pilau masala and the salt. 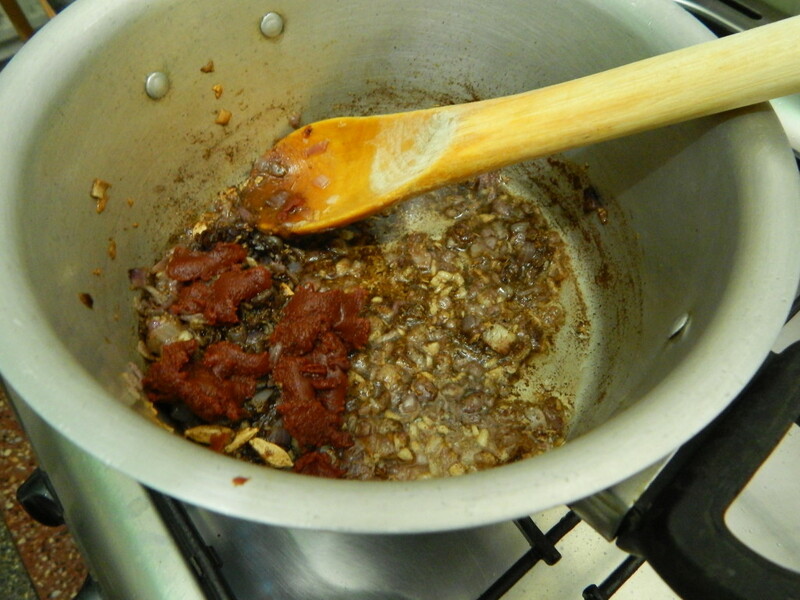 Stir the spices and then add the tomato paste. 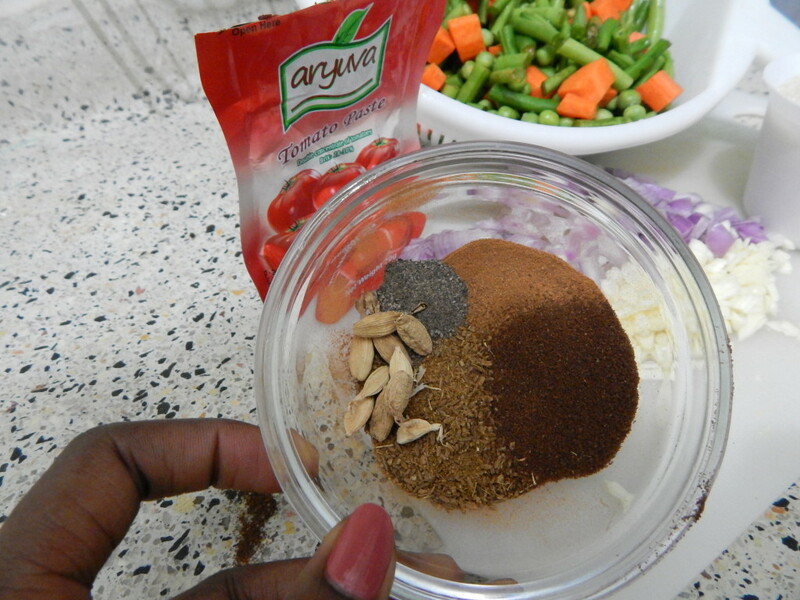 Now add in your veggies. NOTE: For the veggies, you can use the ones you most prefer. 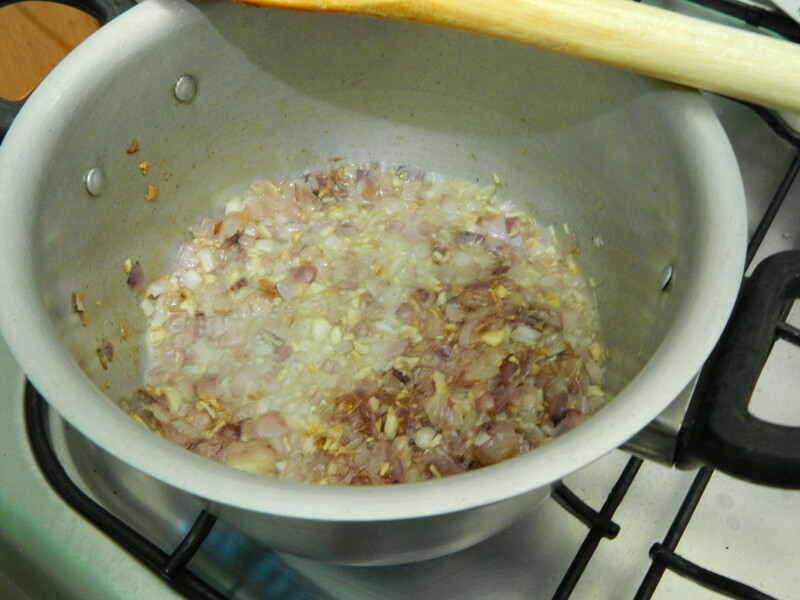 Stir to coat with the spiced up onions. Cover and let the veggies cook down for about three to five minutes. 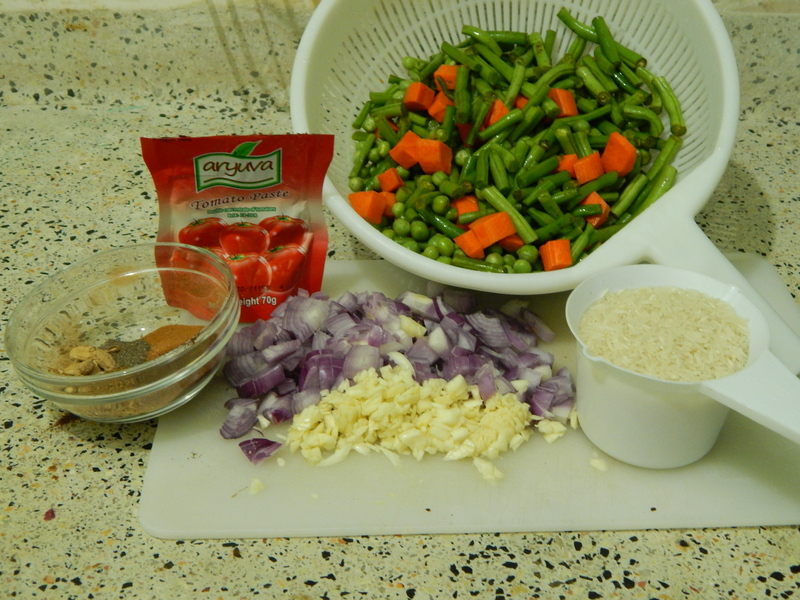 Note the veggies will cook further as the rice is cooking. 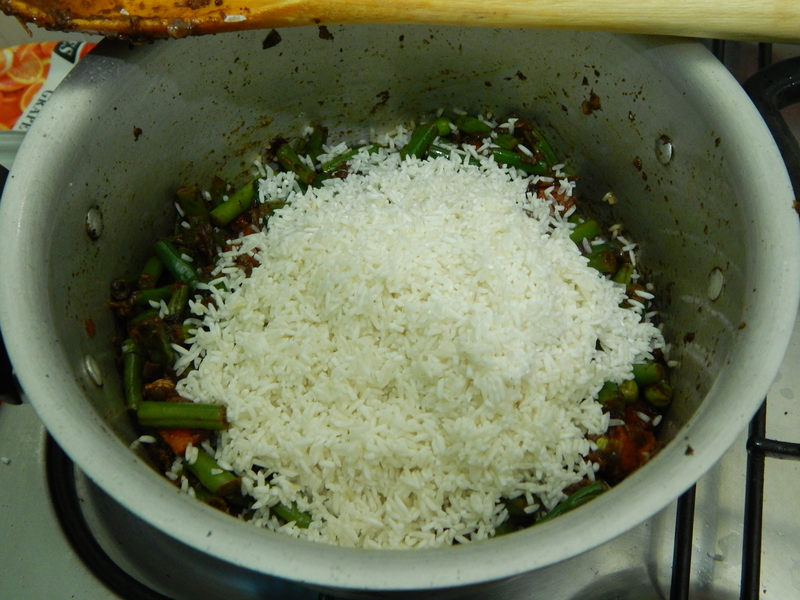 Stir the rice and finally add the water. At this point, you can taste for seasoning and adjust accordingly. Partially cover your sufuria and over medium high heat bring the water to a boil. My lid is missing a knob. oh well it still works fine. 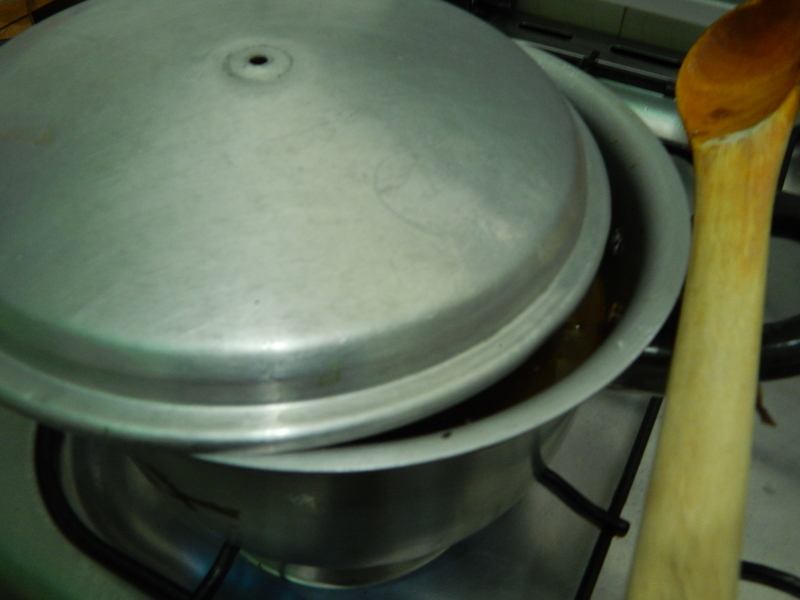 Once the water has started to boil, reduce the heat and cover the sufuria and let the rice cook until the water reduces. Once the water is reduced, turn off the heat and you are just about ready to serve. 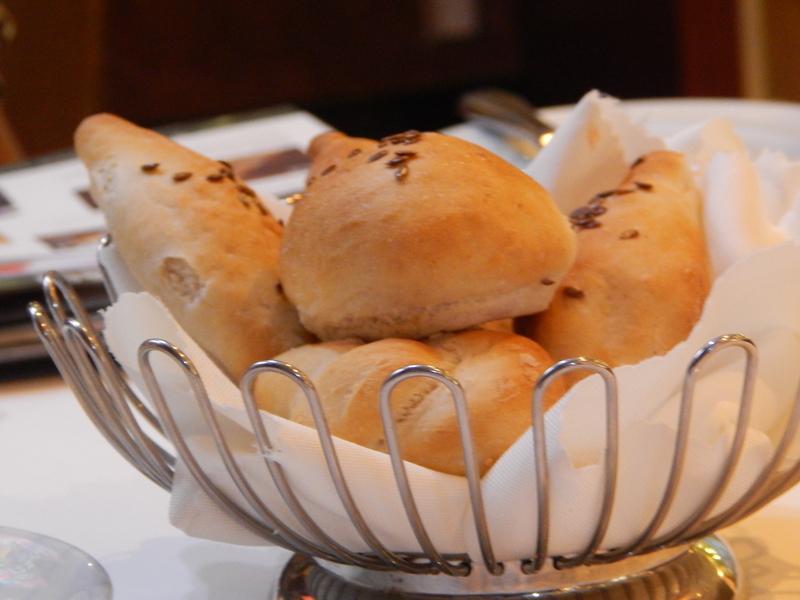 Serve with some kachumbari or some tomato wedges oh or even some guacamole. My attempt at food styling. Delicious, spicy enough however since I did not taste for seasoning it was deficient of salt so we had to add over the food, which is usually not interesting. Ever tried grating ripe tomatoes into a paste to use instead of the store-bought paste? Used it on other foods and it works well. I’ll try this recipe some time. 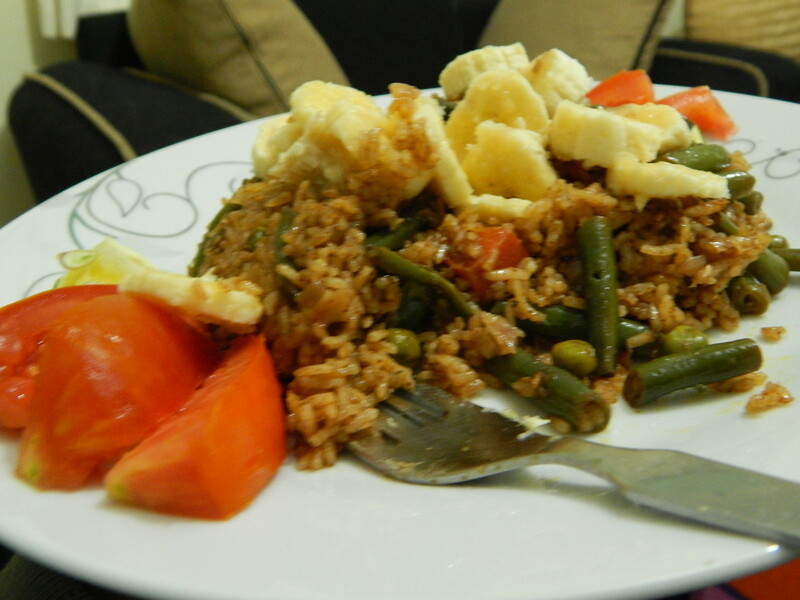 Hey Gee, I have never tried that for pilau. thanks for the tip. Definitely will work better than the store bought stuff. Hey, are the veggies pre cooked?? Hey? No they aren’t. They cook as the rice is also cooking. 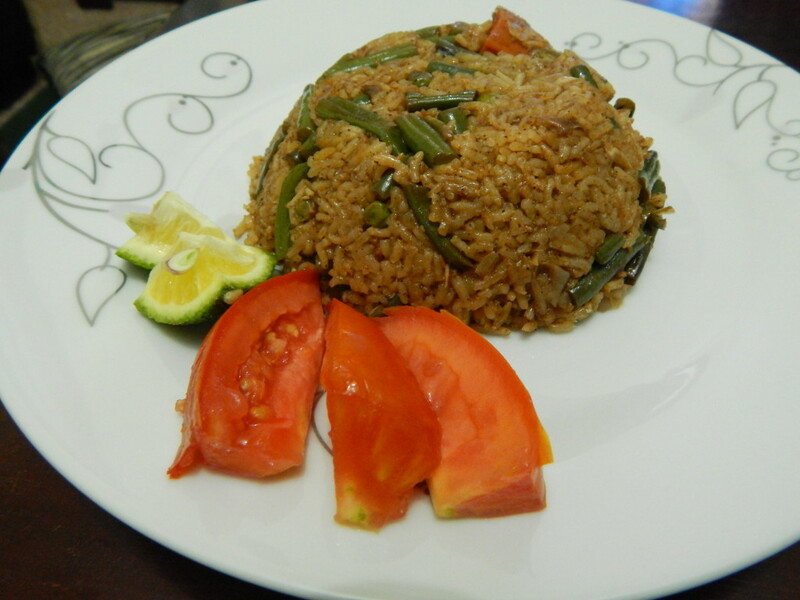 pilau is my fav meal i tried this n loved it …keep up gal una recipe ya matoke?? This looks oh so delicious. Can never dislike pilau! 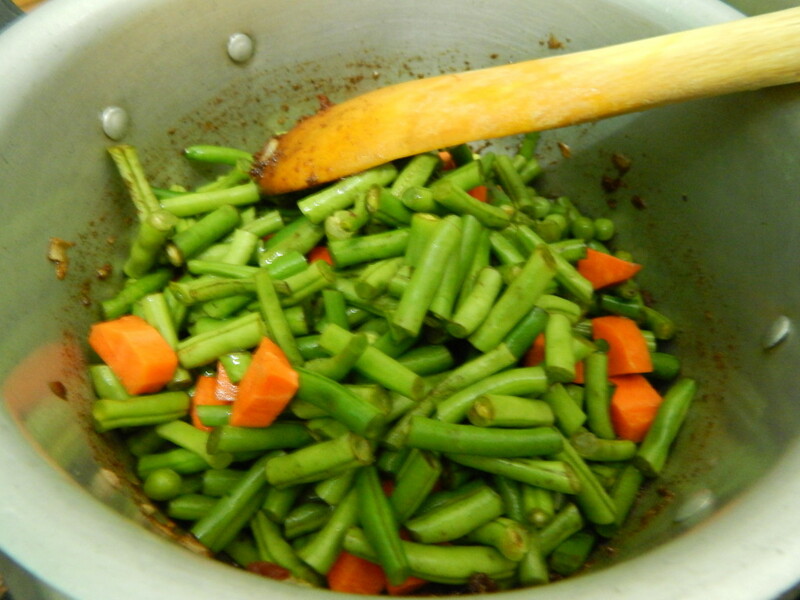 Can I use French beans and carrots only? Thank you Merin. Yes it’s easy on the pocket. Thank you Catherine. Enjoy trying it out. Wow easy steps. 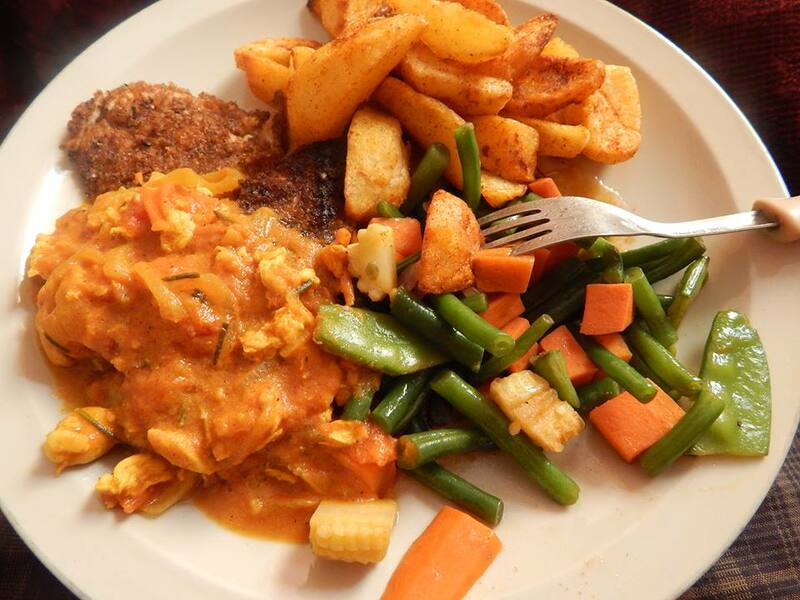 Will follow and share the pic of readily cooked food here. Thanks.